Since remote times the arrival of fifteen years in girls represents a peak in their lives as teenagers and although they have not reached the age of majority, it has been considered that there is a before and after of this date. occurs what is called transition from girl to woman. 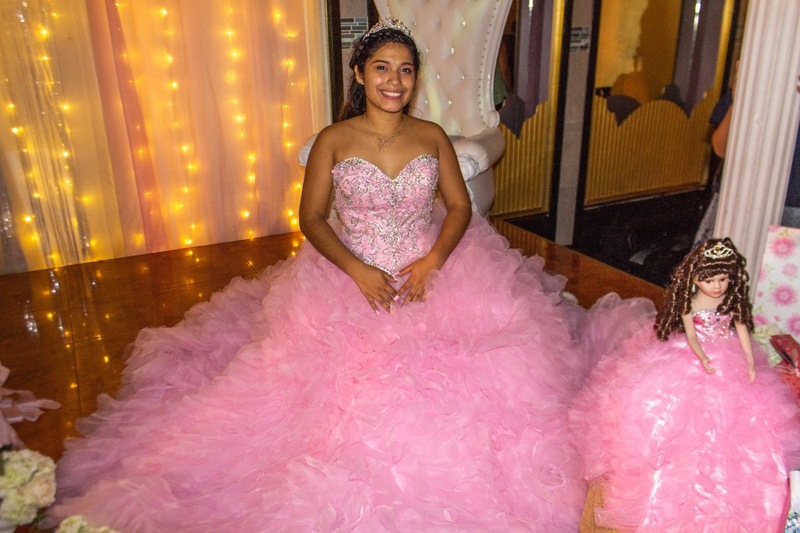 In fact, according to the story previously at the time of that date, the quinceañeras were presented to the young men indicating that they were ready to marry and start a family. At present it is not appreciated in its entirety in this way, but in many families it is customary to hold a meeting or a large celebration in which the quinceañera is presented as the new woman of the family. The aforementioned celebration usually has a Eucharist in thanksgiving to God for everything lived during his childhood, to then give way to the celebration that depending on the magnitude may be in the residence of the quinceañera or a place rented exclusively for this event . With much anticipation the organizers of the event begin with the preparations of the same: Dates, place, banquet, decoration that combines with the wardrobe of the hostess, invitations, sign book, centerpieces, music, in some cases invited groups and of course One of the most influential people in the event who will be the one or those in charge of making it a holiday that lasts over time and is nothing more and nothing less than professional photographers. For the party of your fifteen years is unforgettable accounts with the great team of Artview Studios, who have the ability to capture in their lens true magical moments lived in the celebration with high quality images and full color that will expose emotions, laughter, affection and the best of each person captured by our cameras without losing the naturalness and spontaneity emanates from the participants. When hiring our services our experts will be responsible for conducting a prior study of the personality of the young woman to do our work adapting to it because all the personalities are not equal and therefore the work should not be the same either. We take shots before, during and after the celebration. We created a spectacular 15-year book based on the personality and requirements of its protagonists whose results will be images that project the magic and color that only we can provide. The best packages and promotions in photography and videography wait for you not only for fifteen years but also go to Baptisms, Weddings, Baby Showers, Anniversary, Corporate Events among others. Look no further, contact us and be part of unforgettable moments.